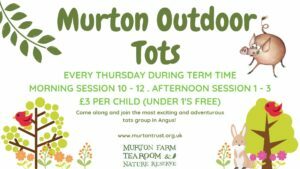 Come along and join the fun. This week we will try weaving different materials. Come along and join the fun. 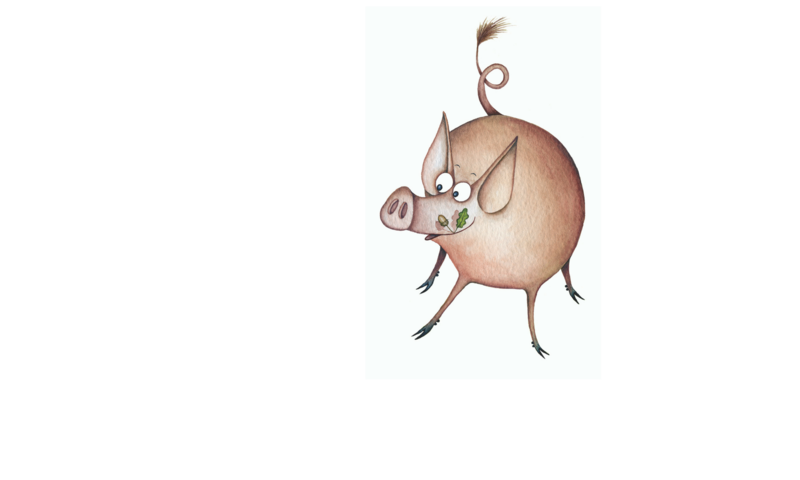 This week we will be having a wash day. We will wash our little cars and have a try at hanging up some clothes. 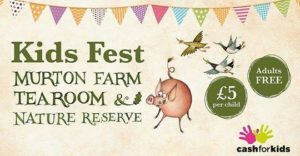 Join us on the farm on Saturday 1st June to meet one of our animals (to be announced closer to the date). 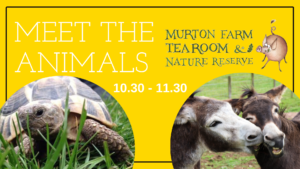 Between 10.30 and 11.30 our friendly animal will be ready to meet you with our staff on hand to answer any questions you might have. Normal farm entry rates apply. No booking required. 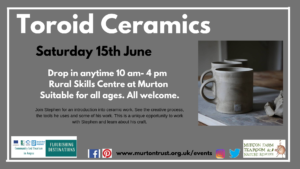 Join Stephen from Toroid Ceramics for an insight into his work. 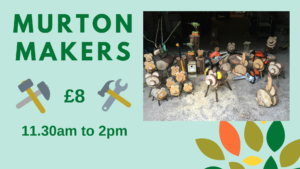 The very talented Stephen will be with us in the Rural Skills Centre on Saturday 15th June and will be demonstrating his skills. You will have the chance to chat with Stephen and watch him at work and even try your hand at working alongside him. This is a free, drop-in session. Suitable for all ages. 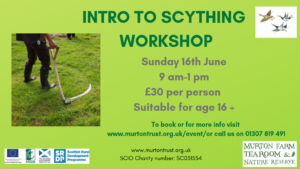 This event is part of the Angus Leader Programme, Flourishing Destinations Project. 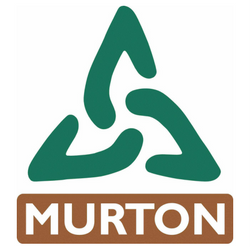 Saturday 22nd June Drop in between 10 am- 4 pm Rural Skills Centre at Murton (Green Cabin to the right of the tearoom) David F Wilson will be presenting in the afternoon. Final details on this will be added soon. 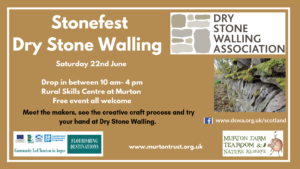 Free event- No booking required All welcome Meet the makers, see the creative craft process and try your hand at Dry Stone Walling. This event is part of the Angus Leader Programme, Flourishing Destinations Project. 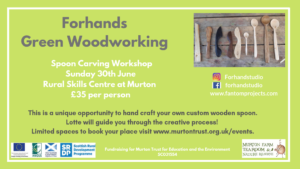 Following the success of our Green Woodworking open day, we are delighted to be offering an Introduction to Spoon Carving Workshop with the lovely Lotte from Forhands Studio. 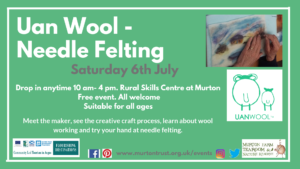 Join Julie from Uan Wool for an insight into the creative process of wool working.